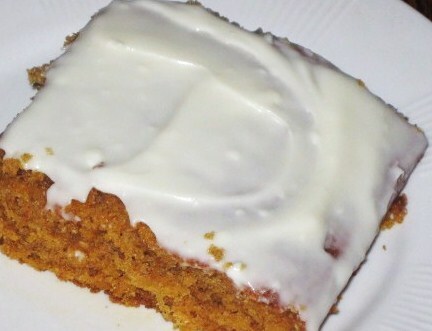 Pumpkin Bars are a big hit at our house and a crowd pleaser. Forget the ordinary brownie…these are so moist and yummy. If you are more of an apple fan, substitute applesauce for the pumpkin. Either way, you have a winning dessert! Sift dry ingredients, including sugar, into mixing bowl. 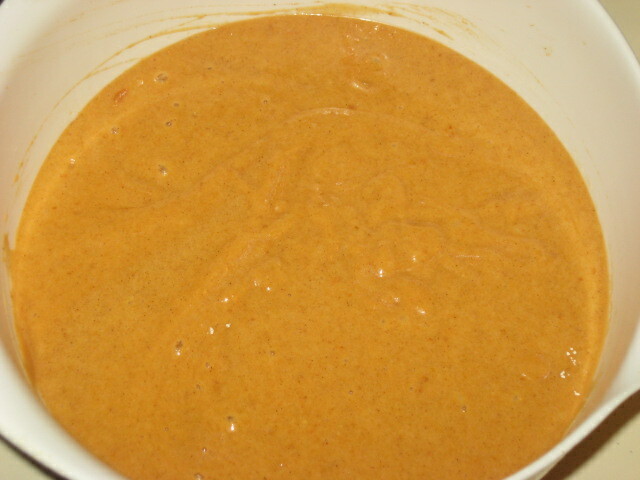 Add slightly beaten eggs, pumpkin and oil. Mix; blend in nuts (optional). 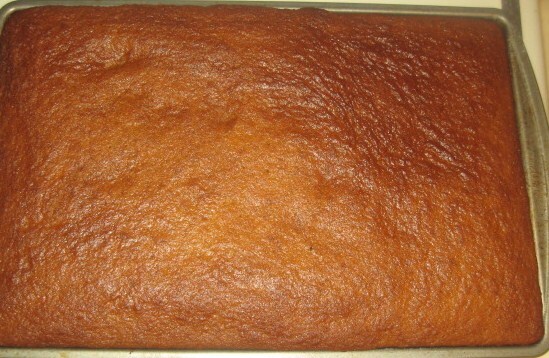 Bake in 2 greased and floured cake pans (9×13″) at 350 degrees for 25 minutes or until done. Serve plain or sprinkle with powdered sugar or spread cooled cakes with Cream Cheese Frosting. Cut into squares. 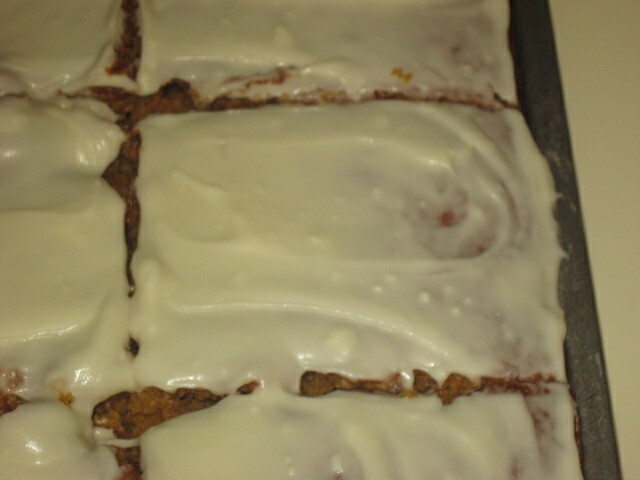 Frosting: Blend all together until smooth and spread on cake. Can double to assure thicker frosting.